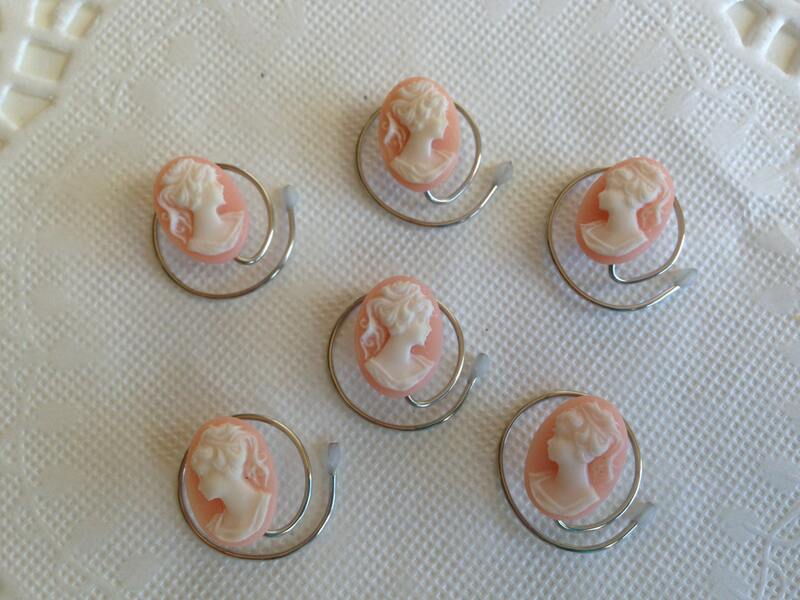 This listing is for 6 pieces of hair jewelry consisting of beautiful acrylic White cameos on Light Pink backgrounds. 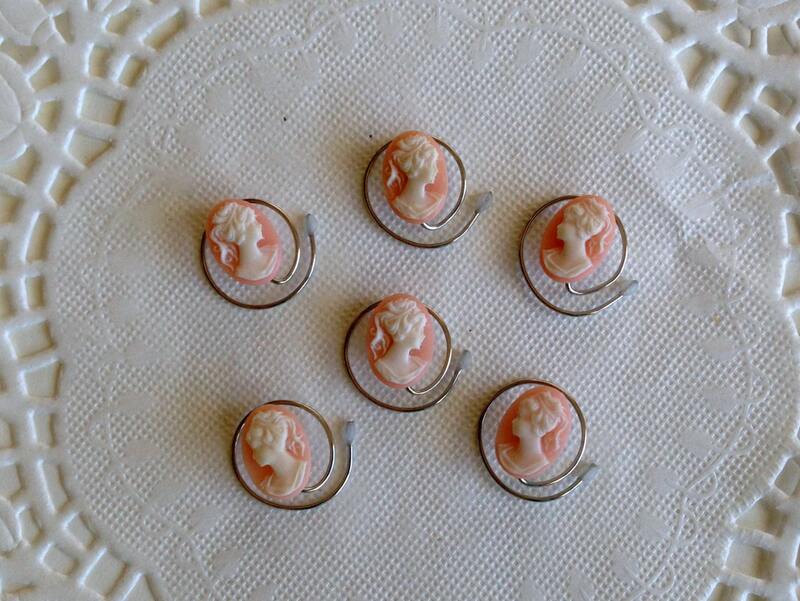 Each Pink and White cameo is 10mm x 14mm (1/2 inch long by 3/8 inch wide) in size and absolutely precious. 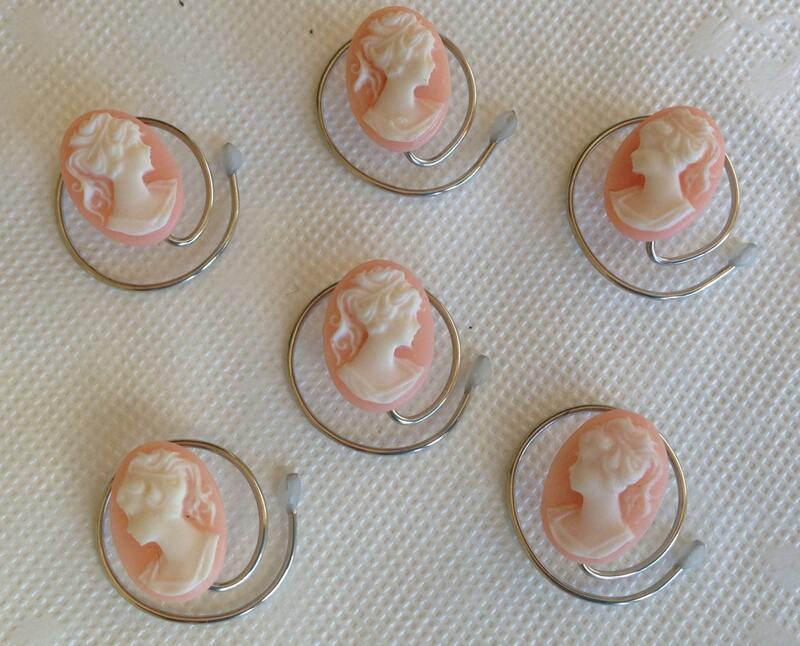 Each cameo is mounted on a silver tone tarnish resistant wire. They are so easy to use. 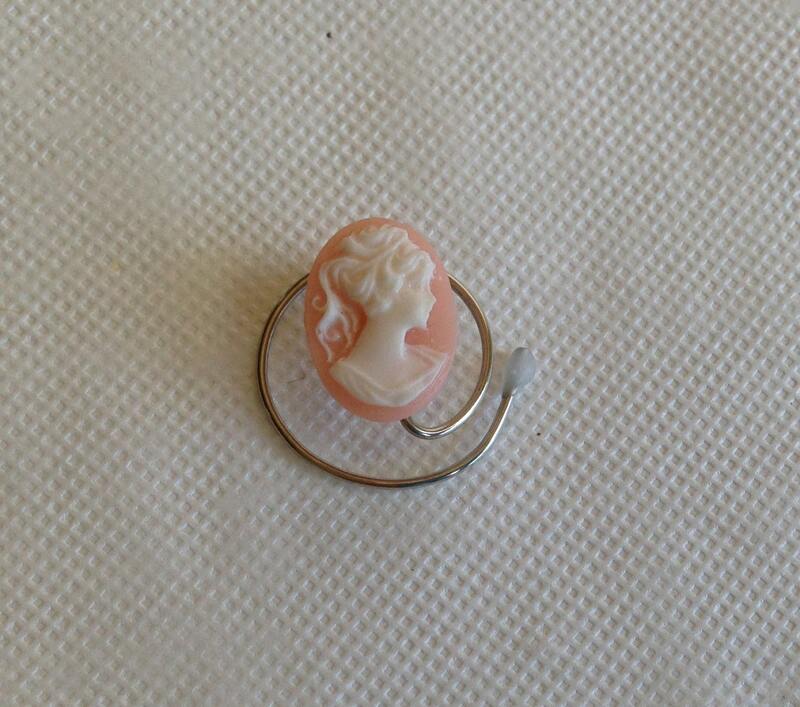 You just twist them into your hair until the cameo looks like it is floating in your hair. They will stay in while you are dancing the night away at your reception. When finished wearing them you twist them in the opposite direction and they will come right out. 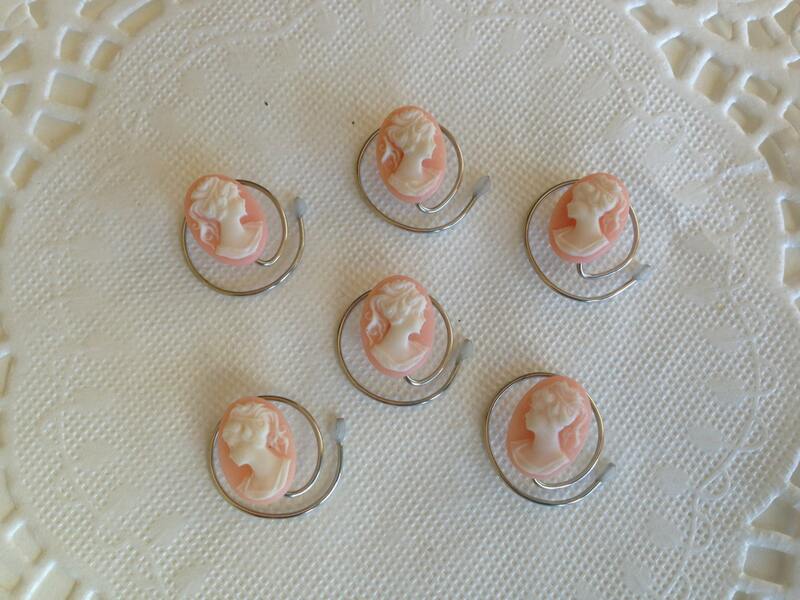 The cameos would be beautiful for a bridesmaid. Please check out my other listings as I have lots of different designs and colors for every occasion.